If you have any questions regarding Charles Weston School - Coombs, please contact us on Phone: (02) 6142 0404 or at charlesweston@ed.act.edu.au. You can find out more about the ACT Education Directorate and Canberra Public Schools here Education Directorate website. 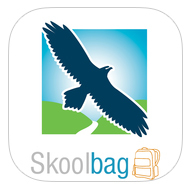 Please download our school app for up to date information and alerts.